Integrity and Hasbro Partner to Release Revived Jem! Integrity Toys, Inc., under license from Hasbro, Inc., today announced a brand-new series of high-end collectible fashion dolls based on the 1980s groundbreaking animated series JEM AND THE HOLOGRAMS, launching at 2012 Comic-Con International in San Diego. Inspired by the “TRULY OUTRAGEOUS” characters created by Hasbro over two decades ago and cherished by fans and collectors alike ever since, this nostalgic retro doll line is designed to pay homage to both the animated series and its original companion doll line, originally marketed from 1985 to 1987. 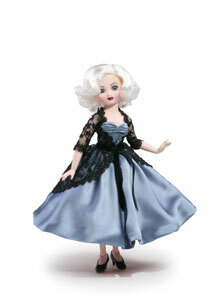 Created for fans by fans of the rock ‘n shock pink haired pop-culture icon and her outrageous world, this classic commemorative line will feature the high-end details, quality accessories and ultra-limited edition sizes that fans of Integrity Toys have come to appreciate through the years. 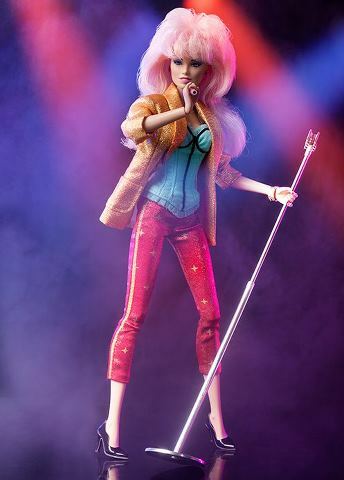 This first doll in this exciting commemorative collection will be JEM AND THE HOLOGRAMS Special Edition Doll: HOLLYWOOD JEM, one of the most requested animated-based looks. 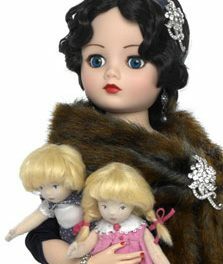 This doll will be available for purchase at the HasbroToyShop booth #3329 during Comic-Con International in San Diego at an approximate retail price of $125 and following the convention, at www.HasbroToyShop.com. The dolls, created by noted collectible manufacturer Integrity Toys, will mark the debut of a newly sculpted fully articulated body and likeness of the rock star wearing a high-end costume, delivered in collector grade packaging. Future additions to the line will be announced in the months following Comic-Con International in San Diego via a dedicated web page located at http://integritytoys.com/jemandtheholograms, which has been created to bring fans all the latest information about the Classic JEM AND THE HOLOGRAMS collectible line moving forward. “As children of the 80s ourselves, working on this project with the Hasbro team was a dream come true for our entire team. JEM AND THE HOLOGRAMS has been a major influence for us,” says Alain Tremblay, marketing director of Integrity Toys, Inc.
“We wanted to remain true to the spirit of the original doll line, while paying homage to the animated series, which is something that we as JEM AND THE HOLOGRAMS fans always wanted through the years,” says Vaughn Sawyers, Integrity’s head designer. JEM AND THE HOLOGRAMS made a noted return on television in 2011 airing on The HUB TV Network in the U.S., followed by the much anticipated release of a sleek DVD box set last fall that features all 65 episodes of the original animated series. “We wanted to pay homage to the characters and offer collectible dolls to fans that would showcase the essence of their favorite characters. We admire the high quality dolls produced by Integrity Toys, so this relationship made perfect sense,” says Bryony Bouyer, Senior Vice President, Global Franchise Development for Hasbro. Get ready for some serious glamour fashion and fame; it’s show time Synergy! NextLooks to Diet for: Would you rather be a Barbie booster or a Princess Di diehard clone? Party Girl: Madame Alexander’s legacy turns 90 years old, and still going strong!